the lingering light of her long evenings. melons ripe in the field. to walk with it in the park after work. for all things that matter. 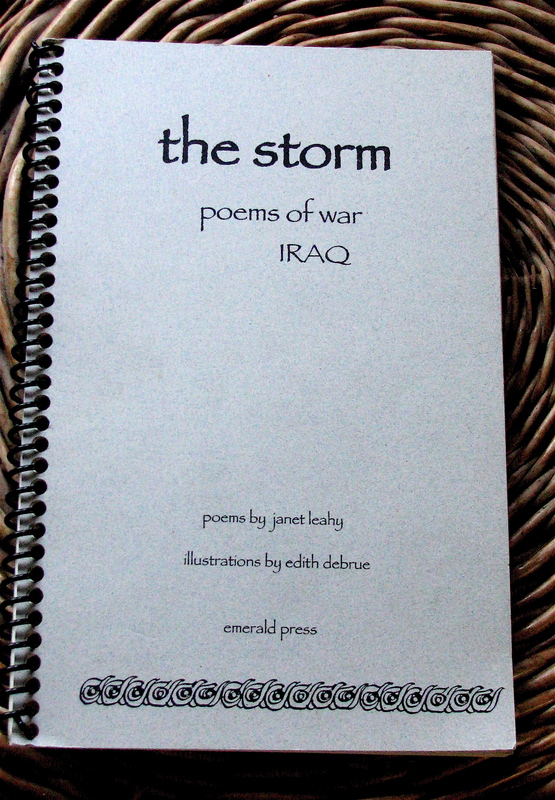 Janet Leahy views poetry as a shelter from the storm of noise that bombards us. She appreciates the way the rhythms of poetry cross borders and stir connections between diverse groups. Her garden grows—not always as planned—but always with splashes of color and vines of morning glory and sweet pea. Janet is a member of the Wisconsin Fellowship of Poetry and works with critique groups in the Milwaukee-Waukesha area; her work has been featured in anthologies, literary journals, and online. She has published two collections of poetry, and is currently working on a third. Janet, what a wonderful way to show the transition from summer to fall. Most creative. Great use of personification. Beautiful poem. Would that all weather reports could be as accurate and beautiful as this one. Janet, this is a gentle poem that makes me smile. I love autumn and the shortened days, and you have given me a different perspective. I meant the vernal equinox. I am afraid of the dark and fearful of the cold and cannot wait for the autumnal equinox. Janet, I love how you portrayed summer as a nurturing female and fall as a cool aloof male. It was so clever and creative. A big yes, Janet! I love the parallel structure and the humanization of the seasons and light we know so well. And we are all guilty of not saying "Thank you." Thank you! A wonderful poem, Janet. The personification is a A delightful way for us to feel the shift from summer into autumn. Yes, the shortness of days seems to come surprisingly suddenly, catching us off guard. I love the ending, makes my day today. I guess it's time now to bring the amaryllis bulbs in for dormancy.